St. Lorenzo "Lawrence" Ruiz is the first Filipino to be canonized along with 15 companions, Dominicans and lay missionaries from Spain, France and the Philippines. He was a married man with two sons and a daughter. Lawrence and companions were martyred in Japan after terrible tortures between 1633 and 1637. The emperor of Japan was trying to purify Japan of the influence of Christianity. Can people tell we are a Christian by the way we act? Is there enough "evidence" to "convict" us? How many inconvenient things do we suffer each day? Most of us will never know death because of our faith. But we can unite all our sorrows, trial and sufferings with the martyrs and offer them up to Jesus for the salvation of the world. Every Monday night I iron 5 shirts for my husband for work. The job takes about 1/2 hour. Living in Florida, almost everything we wear does not require ironing, but the work shirts do. So I have a regular weekly gig. I actually don't mind ironing, it is genetic. My mother loved to iron because she loved the crisp, clean look clothing has after it has been ironed. I like it because it stays done for a week, unlike the kitchen which is dirty every 30 minutes. Generally on Monday nights I listen to a National call of account managers for Lighthouse Catholic Media. Every week the call contains a spiritual uplifting message, prayer, success stories in evangelization and other news and updates from people all over the country. I even get weather updates from my friend Jen in North Dakota. The dresser top where I keep the iron, starch and saints. Last week only 4 shirts were clean, so tonight I had to do number 5. As I ironed in the quiet, many thoughts from all those past calls came to mind. I found myself united to my friends in Lighthouse just by the spray of the starch and the motion of the iron. I think it is like the communion of Saints. They are always there for us. When we enter into the quiet, we can connect. September 25 is the feast of Blessed Herman. Blessed Herman the Cripple was an 11th-century Benedictine monk from southern Germany. Born deformed with a cleft palate, cerebral palsy, and spina bifida, Herman was cared for from age 7 by the Benedictine monks of the Reichenau abbey of Germany. He was professed as a monk there at age 20. Although he was bedridden and a speech impediment made him nearly impossible to understand, Herman was a genius, who studied and wrote on astronomy, theology, math, history, poetry, Arabic, Greek, and Latin. He also built astronomical equipment and musical instruments and was the most famous religious poet of his day. When he eventually became blind, Herman began writing hymns. His "Salve Regina," or "Hail Holy Queen," is the best known. 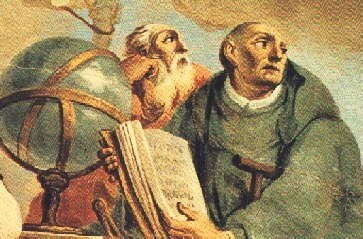 Blessed Herman died at the age of 40 of causes related to his afflictions in 1054. He was beatified in 1863. Lesson: Although Blessed Herman suffered much, he always smiled and was the joy of the monastery. He saw each trial as a deeper way to draw closer to God and nearer to His heavenly reward. Let us thank God for each trial He sends our way and view it as a means of purification, drawing us nearer to Him as we consecrate our hearts to His Holy Mother Mary, Our Life, Our Sweetness, and Our Hope. Today the four younger children and I were privileged to attend a mass at the Cathedral of St. Jude the Apostle celebrated by Bishop Robert N. Lynch. The mass celebrated the life of St. John Bosco and all his spiritual "Salesian" children. Above you can see the wax figure of the saint. Within the body cavity is his incorrupt right hand. The Cathedral was beautiful decorated with pictures and quotes from St. John Bosco. 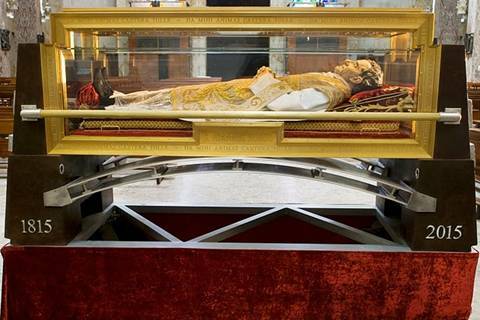 The relics are touring from now until 2015, which will be the 200th anniversary of his death. John Bosco was a priest in Turin, Italy who founded the Salesian Society, named after St. Francis de Sales. They have been helping poor and orphaned children for over 150 years throughout the world and are the second largest Catholic religious order in the world. Today the gospel is Luke 16:1-13. This story of the cunning steward can be misleading. Is our Lord telling us to be deceiving as this steward is as he thinks "what shall I do, since my master is taking the stewardship away from me?" Then he writes down all the debts due to his master. Jesus comments "the sons of this world are wiser in their own generation than the sons of light. St. Augustine makes our Lord's comment's clear: "Why did the Lord propose this parable? Not because that servant was a model for us to imitate. Nonetheless, the worldly-wise steward had an eye to the future. So too should the Christian have this determination to secure his eternal reward." Francis Fernandez comments in In Conversation with God, "We Christians must put the same amount of zeal into the service of God. In the spiritual realm, we have to make a heroic effort to win Heaven." Robert is a big name in our family and so this is a big feast day. St. Robert Bellarmine was ordained a priest in the Society of Jesus in 1570 and spent much of his time writing to defend the Catholic Faith. He became was a cardinal and advised Pope Paul V. After his death, he was declared a doctor of the church, meaning an eminent and reliable teacher. He lived much of his life in poor health. He died this day in 1621. I love this quote from him because he was perhaps one of the most knowledgeable men of his time. September 8th we celebrated the Nativity of our Lady and September 12th, the Holy Name of Mary. The entire Month of September honors Our Lady of Sorrows and today we have that memorial. Today I was completely immersed in thinking of the cross and Our Lady there, at the foot of the cross of Jesus and at the foot of all of our crosses. Surrounding her children with her protective mantle. I got several chances to experience sorrow today. I was berated by a customer at work. I heard of the death of our son's golf coach's father. I learned of a friend who's marriage is falling apart. I talked to an old friend who's teenager daughters are in big trouble with drugs. And because of this memorial today, I had the privilege of seeing all these things through the eyes of Jesus and through the eyes of His mother, Our Lady of Sorrows. I was able to consider how much Our Lady suffered watching her son go through the end of His Life and yet how she stayed there with Him through it all. I was able to better sympathize with all the sufferings of my friends. I was able to catch the heavenly reality that by all this suffering, when united to Christ we are able to participate in redeeming the world. And I got a reality check, that my problems are not so big. It made me look at the many blessings I have received and experience the Joy of walking with Jesus, Mary, and all the saints! Today is the Feast of the Exaltation of the Holy Cross. The Beautiful readings from the mass today include Numbers 21:4b-9 and Philippians 2:6-11. "At the name of Jesus every knee should bend " we boldly say in the second reading. 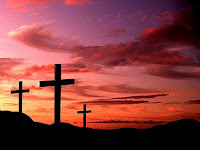 One of my favorite hymns is Lift High the Cross. "Lift High the Cross, the Love of Christ Proclaim, Till all the World Adore, His Sacred Name." Sing this song today, boldly, out loud! Chrysostom means "golden mouthed." St. John was called this because of his exceptional preaching ability. 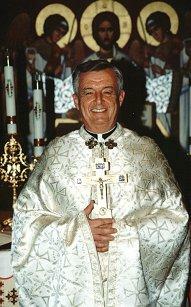 He is credited with writing the liturgy that the Byzantine Catholic Church still says today. 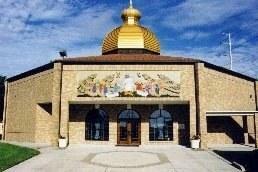 In our city, we have a beautiful Byzantine Catholic Church, St. Therese of Liseux. The Byzantine faith is under the Pope of Rome and has been described by Pope John Paul II along with the Roman faith as "two lungs" of the Church. Both rites are necessary for the Church to breathe. Fr. Bob Evancho is the pastor at St. Therese. He has taught me so much about the Byzantine Rite, but moreover, he has taught me so much about being a good Catholic of any rite. Make plans to visit a Byzantine Catholic Church and attend the beautiful liturgy. 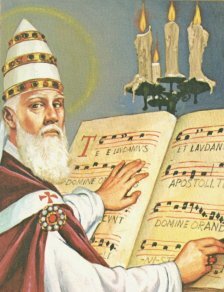 The liturgy is sung without instrumental music. It is a special way to send up our prayers to God. Today for the Feast of the Holy Name of Mary. The girls and I drew pictures of our Blessed Mother as we talked about her. Our eight year old was able to remember to draw Mary crushing the head of Satan, see right. I helped the 5 year old by drawing an outline of the face of Mary that she could fill in. "Hail Mary, Full of Grace, the Lord is with Thee. Blessed art thou among women and Blessed is the fruit of thy womb, Jesus. Holy Mary, Mother of God, Pray for us sinners, now and at the hour of our death. Amen." Speak today the name of Mary with reverence and respect. She is our advocate and role model, our friend and our Mother. "O Mary, conceived without sin, Pray for us who have recourse to thee." Our oldest son just started college three weeks ago. He has a cell phone and a lap top and two different email addresses. I even sent stationery and stamps with him in the case he wanted to hand write a letter. We hear very little from him. I was excited yesterday when a friend of mine told me that her daughter saw our son on campus. He was going to the gym to swim or work out. A spotting! How exciting! Another friend said to me "be glad you aren't hearing from him." Our daughter calls all the time crying. For now, we trust that the Lord, Our Lady and all the guardian angels are watching over him. I wish he would call me and tell me everything he is doing and learning and the new friends he is meeting. But he doesn't. And then my phone beeped with a text "can i use your credit card for dinner?" I guess he does remember me. Almost two years ago, I met Terry Barber face to face. It was very exciting to meet someone who had impacted my life since for the last 12 years. Back in 1996, I got a hold of some cassette tapes from St. Joseph's Communications. They told the story of a protestant pastor who became Catholic. I had been Catholic all my life and attended Catholic Schools through college. But this tape, the Conversion of Scott Hahn, began a journey for me that has absolutely changed my life. I have fallen in love with Jesus Christ and the Holy Catholic Church, become firm in my faith and committed to constant evangelization. Terry Barber is the man who founded St. Joseph's Communications. Since October 2009, I have had the privilege of talking weekly to Terry on a telephone conference. He has shown, by example, how to ask questions, how to win souls, how to impact lives and how to be happy and excited all the while. What makes this guy tick? How does he have so much energy? How is he doing such amazing work for Christ and His Church? Two Words--Jesus Christ. Terry is a daily communicant and a man of prayer. Yesterday he shared that he gets up very early every day and exercises and then attends 6:30 am mass. Today I got up early, took a long walk, prayed the rosary and made a spiritual communion. Why? The Power of Example. Today we honor the birth of Mary. Tradition tells us that her parent's names were St. Ann and St. Joachim. We believe that St. Ann was beyond childbearing years when she conceived Mary. Mary grew up as a normal girl even though she was conceived without the stain of original sin. She would have done work around the house and helped others as much as she could. This week our children and our school will honor Mary by doing a diaper drive for our pregnancy center, Mary's Outreach. The diapers collected by students will be donated to young moms who have chosen life for their children. What a beautiful way to honor Our Lady. She was quick to help those in need, as we see in the story of the Visitation. 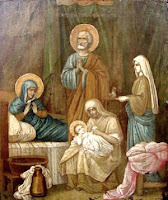 How can each of us serve another today to imitate and honor Mary? I just finished a fabulous book that I am highly recommending, The Shadow of His Wings. Back in May, I received a CD by the same titles distributed by Lighthouse Catholic Media. The CD read excerpts from the book about the amazing story of a German seminarian who was conscripted into the SS of the Nazi army during WWII. The autobiography relates the details of the completely unlikely ordination of Karl Goldmann to the holy priesthood and his several miraculous near death escapes in the 1940s. But that isn't the whole story. What really impressed me, was the life that Fr. Goldmann went on to live after WWII. Becoming a missionary in Japan and the impact on the thousands of lives there and throughout his life. This book shows the power of one life, well lived, in accordance with God's grace. Get a copy today and read it. It is published by Ignatius Press. You will be enthralled, inspired and encouraged! Forget roses! Tonight my husband cleaned our bathroom. I have been struggling with getting the housekeeping done and tonight I got a real "bee in my bonnet" to make some head way. I got a couple rooms done but still had a lot of other things to do to prepare for tomorrow. As I was ironing shirts, I caught a whiff of the most wonderful smell a mother of 6 can smell--bleach! And I knew that Bob was cleaning our bathroom. There have been many volumes of letters written to 'Dear Abby' about the toothpaste cap being left off, the direction of the toilet paper on the roll, and whether the toilet lid is kept up or down. In 24 years of marriage, I could write a book about my preferences....and reality. That is why my husband cleaning the bathroom is such a gift! No greater love has a husband, than to clean the bathroom for his wife. I am minimizing Our Lord's words "No greater love has a man than to lay down his life for his friends?" Not at all. My husband exemplified them tonight. He would have rather watched the Ray's game or done a million other things. But he laid down his life for 20 minutes and made my day. What is that special thing I can do for my spouse today?? This afternoon there will be a mass at the Basilica of the National Shrine of the Immaculate Conception followed by the formal presentation and first-issue of a US Postal Service first-class stamp. The stamp is being issued to honor the humanitarian work performed by Mother and Missionaries of Charity that she founded. The feast-day novena to the "Saint of the Gutters" begins today. "O God, who called blessed Teresa, virgin, to respond to the love of your Son thirsting on the cross with outstanding charity to the poorest of the poor, grant us, we beseech you, by her intercession, to minister to Christ in his suffering brothers.Through our Lord Jesus Christ your Son who lives and reigns with you and the Holy Spirit, one God, for ever and ever." St. Gregory the Great was a Pope and a Doctor of the Church. He lived from 540-604. One historian writes about him, "It is impossible to conceive what would have been the confusion, the lawlessness, the chaotic state of the Middle Ages without the medieval papacy; and of the medieval papacy, the real father is Gregory the Great." 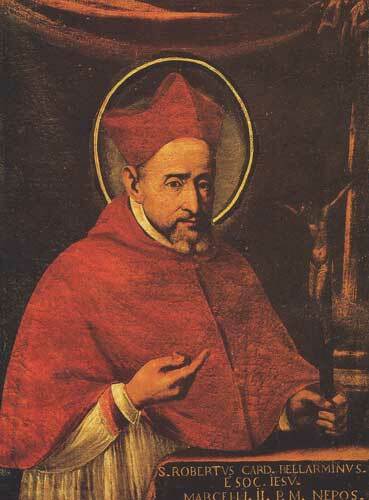 Throughout out his 64 years Gregory served in a civil position, as a monk, as a papal advisor and lastly as Pope. He was ill throughout most of his pontificate. Many of us feel that our culture is in a state of confusion and chaos. We can ask the intercessory prayers of this Holy Father. As in August we celebrated the back to back feast days of Sts. Monica and Augustine. Another mother and son share feast days side by side in September. 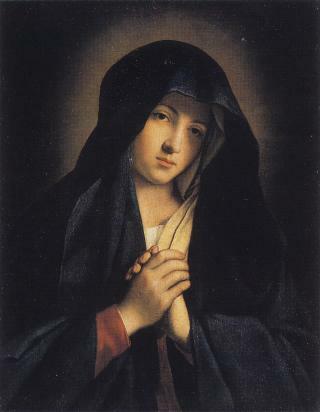 September 14 is the Feast of the Exaltation of the Holy Cross and September 15 is the Feast of Our Lady of Sorrows. While Monica is a good model of a wife and mother, Mary is a perfect model. She was chosen by God to be full of grace, without any stain of sin, to be the Mother of the second person of the Trinity, Jesus Christ. Even though her son was perfect, it wasn’t easy raising him up either. She had plenty of joy, but God did not spare her sorrow. And so the church in her wisdom gives us this month to ponder the 7 sorrows of Mary. So many people are suffering right now. How can I alleviate the suffering of a friend today? Who needs my prayers? Who can I make a meal for, or watch their children?